I've found a fossil in not-such-good shape, but I'm hoping you experts can identify it. 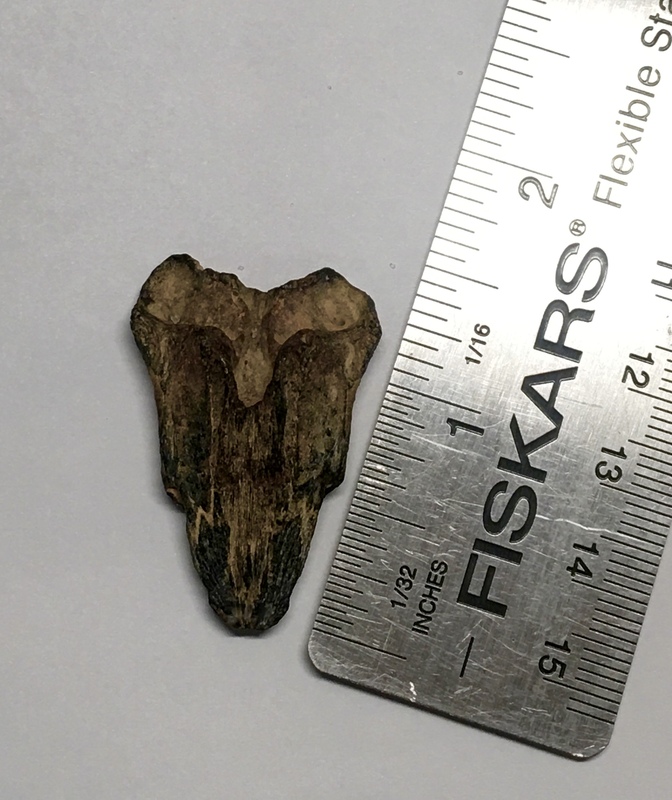 If it is a tooth, the basal seems to have eroded completely off. I found it on the Gulf side of Ft. Pickens, on the beach--so it was dry & exposed to the air. We've been having southeasterly winds, which usually erode the beaches & push interesting things to the surface. One side has as unusual pattern, which I hope comes through in the pictures. Would love to hear your theories of what it may be. 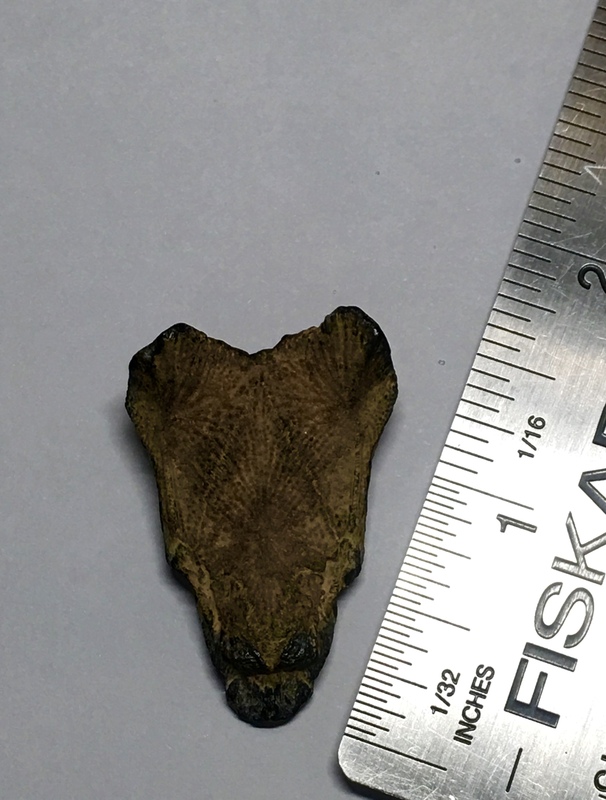 Could it be a baby alligator head perhaps? That would explain the interesting markings. fish skull piece. The pattern is not crocodilian, but fishy. +1 for sea robin skull piece. Yup definitely part of a fish skull. Thank you all. Sea Robin skull it is!